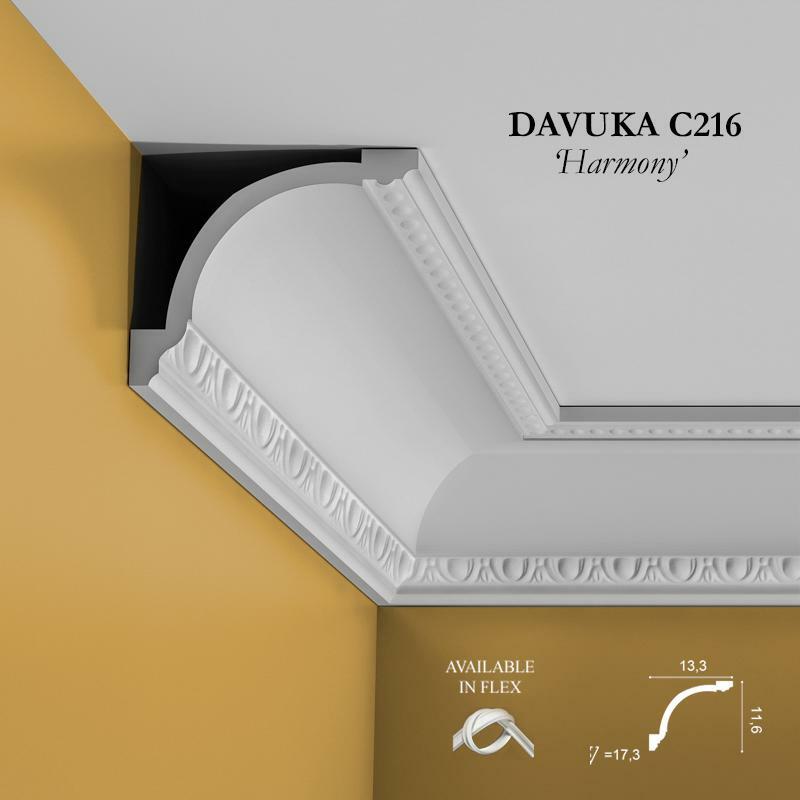 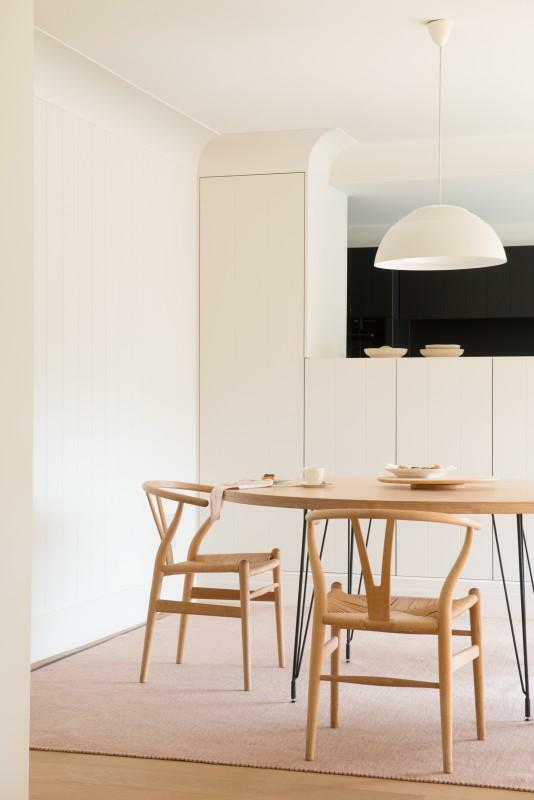 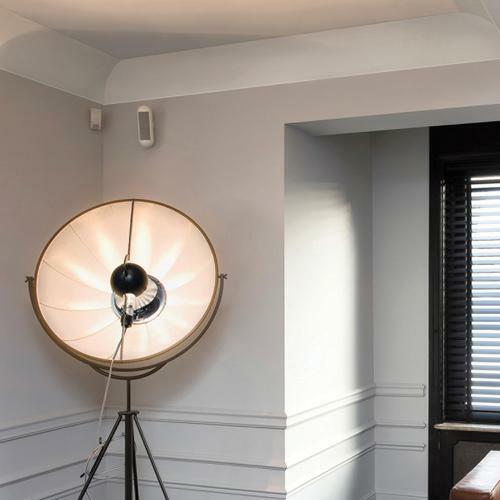 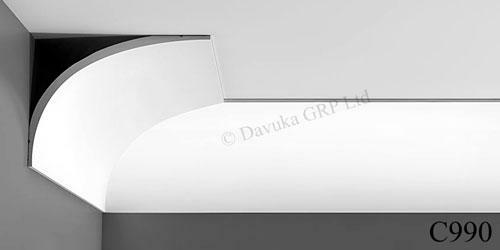 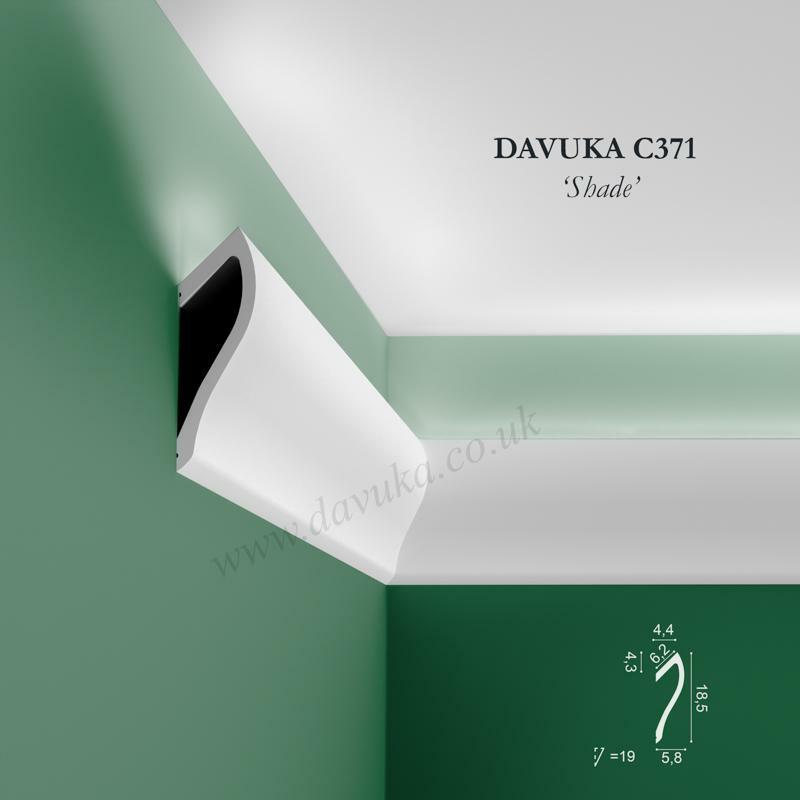 Davuka C990 ‘Infinity’ Cornice – a large assymetric and captivating C-section coving ideal for larger rooms. 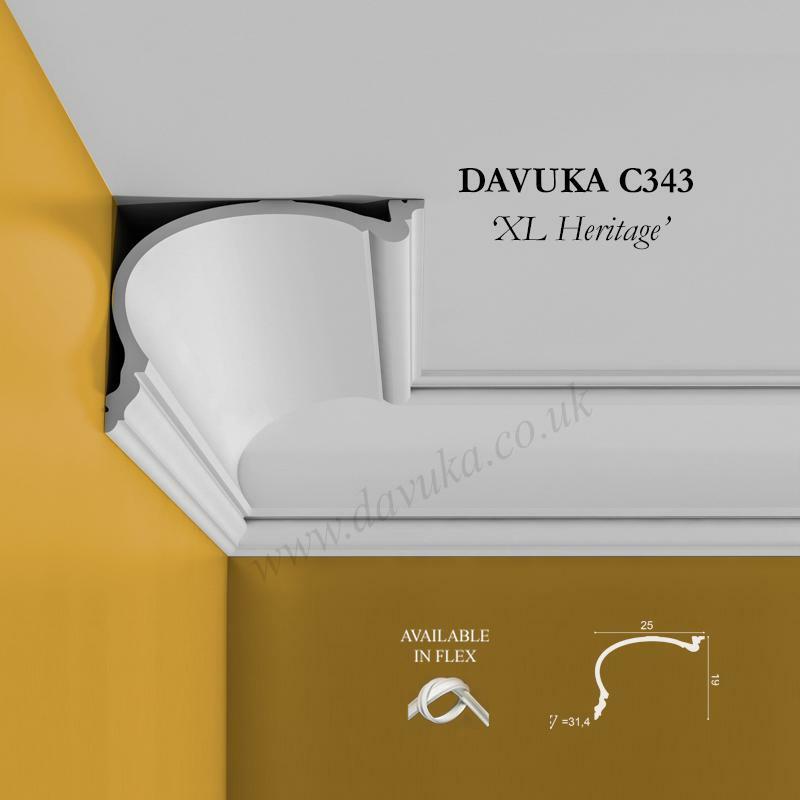 This cornice is sometimes termed a “gorge” and is reminiscent of old stylish French country houses from the 17th and 18th centuries. 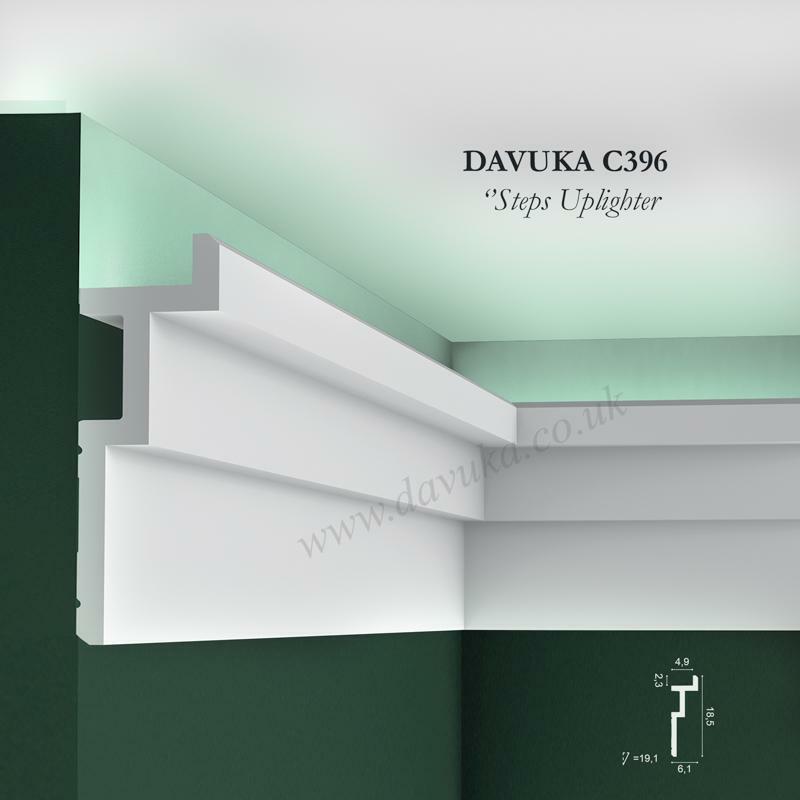 Such an asymmetric profile is ideal to combine with P9901 or P9900 dado rails. 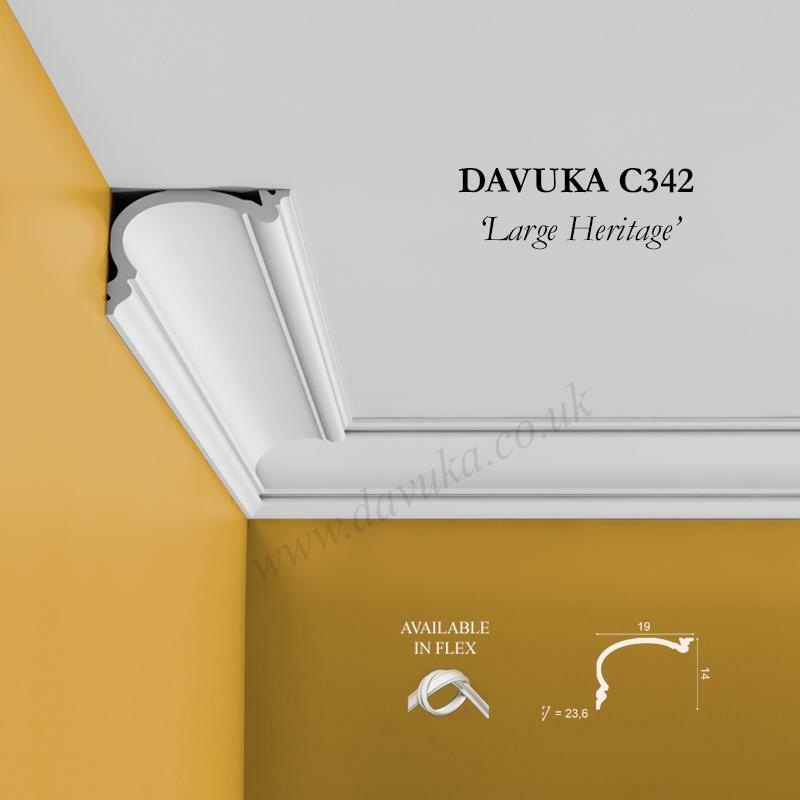 This cornice can also be installed with the long side on the wall or across the ceiling according to your preference. 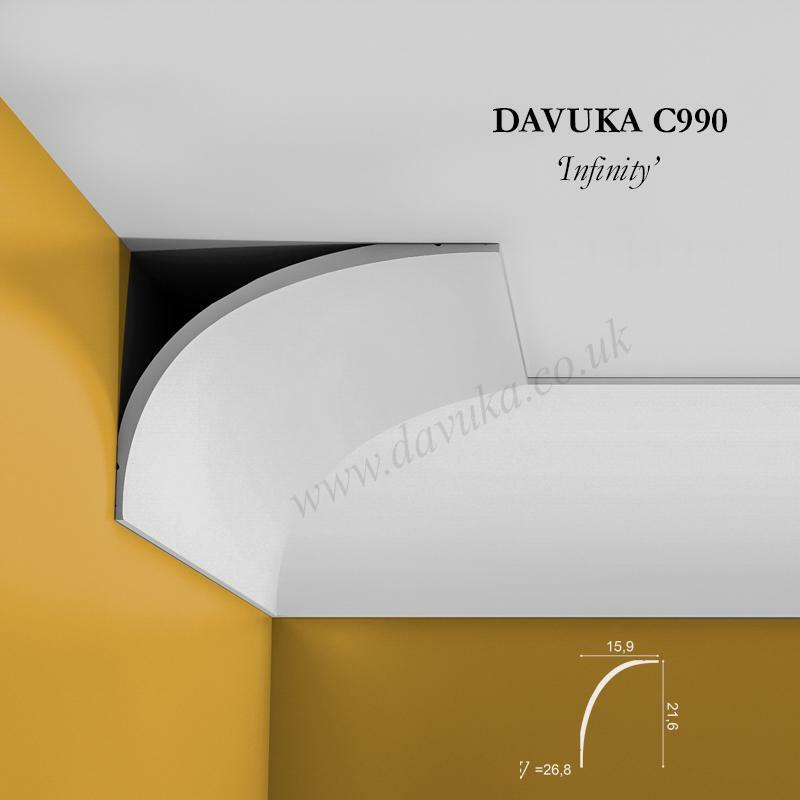 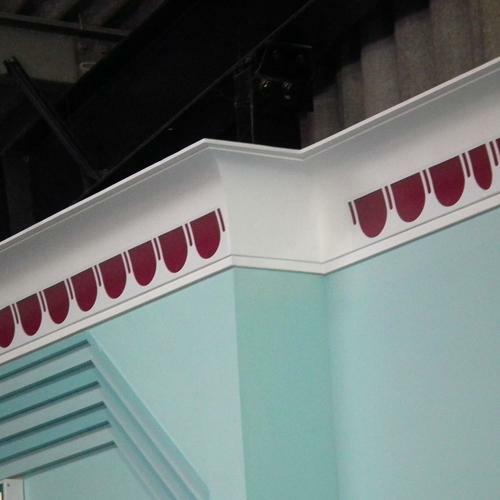 Using Correct Adhesives for the C990 ‘Infinity’ cornice – IMPORTANT!